The term ‘Satyagraha’ means a grasping for truth. 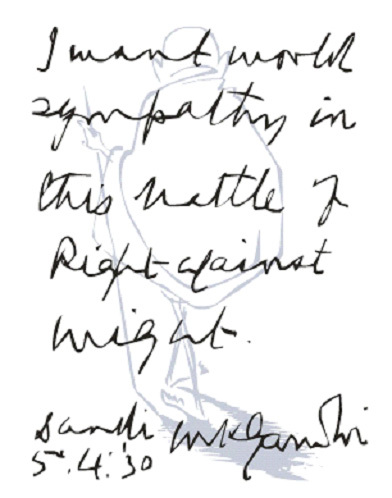 The Sanskrit word ‘Satya’ means truth, and the word ‘graha’ means grasping. It must be noted that the word ‘AGRAHA’ also means anger, resentment, righteous indignation, and a very determined sense of opposition. Mohandas Karamchand Gandhi had coined this phrase to describe doctrine to oppose the occupation of India by the British Empire. Special Frontier Force-The Battle of Right Against Might. Dr. Henry Kissinger, back-stabbed Special Frontier Force by arranging this meeting between the US President Richard M. Nixon and Chairman Mao Zedong and Prime Minister Zhou-Enlai during 1972. 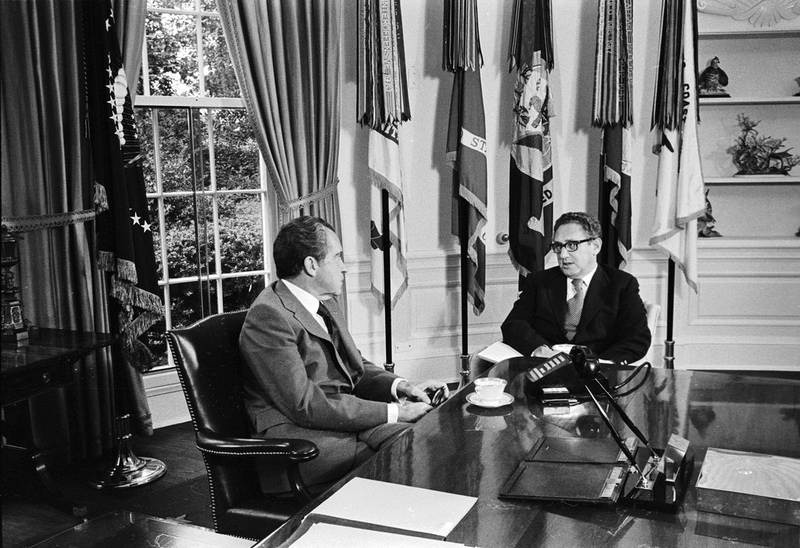 The announcement of appointment of Harvard University professor Dr. Henry Alfred Kissinger as Assistant for National Security Affairs was made on December 02, 1968. He was sworn in as Secretary of State on September 22, 1973. He made a disastrous move to normalize relations with People’s Republic of China completely reversing the US foreign policy of containing the threat posed by China’s military occupation of Tibet. Dr. Kissinger wanted to take advantage of ‘The Sino-Soviet Split’. However, it must be noted as to how this split had emerged after the death of Stalin during 1953. Soviet leadership was taken over by Nikita Khrushchev who at the 20th Congress of the Communist Party in February 1956 had denounced Stalin’s political methods. Under Khrushchev the Soviet Communist Party cautiously loosened its grip on the country and he openly stated his goal of “Peaceful Coexistence” with the West. The Chinese showed no interest in reducing Cold War tensions. In 1960 the Soviets discontinued military and technical aid to China. The USSR signed in 1963 a treaty with the United States and Great Britain banning most tests of nuclear weapons. China had then accused the USSR of joining with China’s enemies. Thereafter, both sides waged a bitter propaganda war. China has pursued its nuclear ambitions and tested its first nuclear weapon in its occupied territory of Tibet(Lop Nor 1964). Further, Mao Zedong(Mao Tse-tung), China’s Communist Party leader had declared that the Soviets had betrayed the Communist Revolution. In 1966, Mao launched the Great Proletarian Cultural Revolution in which millions of young Communists organized as Red Guards went through the country attacking people for their political, and religious beliefs and practices. The Cultural Revolution ended in 1969 and Tibetan people paid a very heavy price as Red Guards destroyed Tibetan temples, monasteries and indulged in various acts of crimes against humanity. During this period of utter turmoil and attack on human rights and human values, Special Frontier Force, a military alliance between the US, India, and Tibet remained as a valuable source of information and intelligence gathering about China’s nuclear weapons program. It is simply hard to believe that Dr. Kissinger had undermined the role of Special Frontier Force and had chosen to befriend Mao Zedong who should in reality must be tried for his crimes against humanity. I would like to describe the military mission of Special Frontier Force using the words of Mohandas Karamchand Gandhi(April 06, 1930) and state it as “The Battle of Right against Might.” The people of Tibet need to struggle to realize the hope of regaining their natural freedom. I believe that the opponent can be overwhelmed with a demand for right and just course of action. Both the United States and India must remain fully vigilant and be ready to defend Freedom, Democracy, and Justice in the occupied Himalayan territory of Tibet and fully resist incursions of Communist China across the legitimate India-Tibet boundary. Special Frontier Force-The Battle of Right Against Might: Dr. Henry Alfred Kissinger had tried to reverse the course of this Battle of Right Against Might. Fortunately, Special Frontier Force has survived and it is not a relic of Cold War Era. This Battle has to be won. Special Frontier Force-The Battle of Right Against Might: Shipki La Pass, Himachal Pradesh, India. India has to defend its Himalayan territory from Chinese intrusions and must resist the military occupation of Tibet. 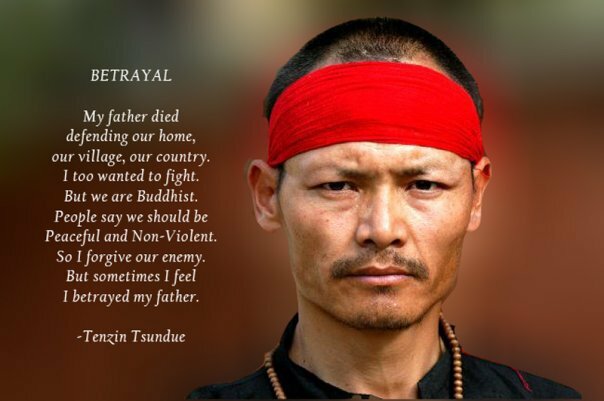 Special Frontier Force-The Battle of Right Against Might: Tenzin Tsundue, Tibetan poet and activist in exile has alerted people about Communist China’s military adventurism. We must fight this threat on various fronts apart from taking military action. Special Frontier Force-The Battle of Right Against Might. The fight against Communist China’s military occupation of Tibet needs the help and support of the entire global community of people and nations. Kochi, May 9: Can India afford to relax after the Chinese reportedly withdrew from the Ladakh border where they had intruded recently, creating a massive uproar in the political and media circles in the country? According to a report published in The New Indian Express on Thursday, the next incursion by the Chinese troops could occur at Shipki La Pass along the Sino-Indian border, as per the information of Tenzin Tsundue, a noted Tibetan poet and activist in exile. Tsundue said India was complacent in the face of the growing threat from the Chinese and had no idea about the enormity of China’s military preparedness along the Line of Actual Control (LAC). He was worried over New Delhi’s casual handling of the issue of Chinese aggression. The Opposition and the media have also slammed the Congress-led UPA government after accusing it of being lax on this issue and warned that such attitude could lead to another 1962-like situation. India suffered a humiliation in the hands of the Chinese over border clashes that year. Tsundue said there is a tendency in India to play down the Chinese incursion into Ladakh and the focus here is more on entertainment like movie and cricket. He said while the establishment often portrays as if nothing serious has happened and people in the mainland do not have any knowledge, the actual issue remains a serious one. He said China’s People’s Liberation Army (PLA) have been making efforts to enter the Indian territory through Ladakh. The poet-activist said Shipki La is perhaps turning out to be the next theatre of Chinese aggression. 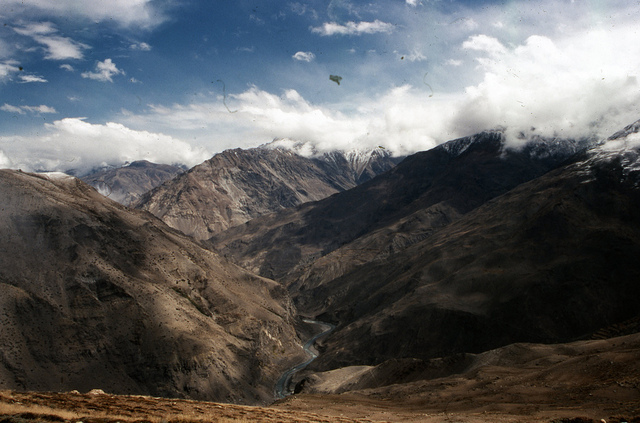 He regretted that India has always remained blind towards the huge Himalayan region. He said Indian writing never focuses on the Himalayan region and hence there is a tendency to take the Chinese incursions on a light note. Tsundue had spent three years in Chinese prison after he was intercepted by PLA border men while trying to sneak into Tibet. He was tortured and never succeeded to visit Tibet thereafter. He said New Delhi should have perceived China as an enemy instead of a strategic partner. 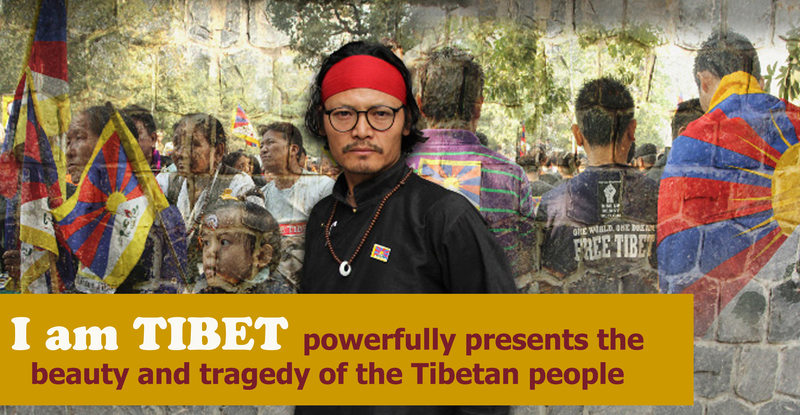 The man has been undergoing a trial in an eight-year-old case in Bangalore related to protest on the Tibetan issue. He said that Karnataka government could not produce the witnesses before the court and hence the trial is continuing.